Welcome to J. 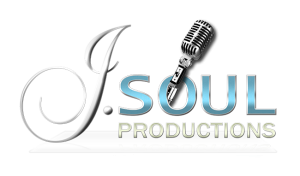 Soul Productions, the best option for San Diego DJ entertainment! We pride ourselves on providing top-notch entertainment and talent for all types of events. Owner and namesake, J. Soul, has established himself as a force to be reckoned with in the mobile entertainment market, and is known for his DJ skills, MC skills and electric personality. J., along with many other talented DJs and MCs, make up the force that is J. Soul Productions. Our event expertise knows no bounds and as a company, J. Soul Productions has hundreds of events under their belt. We go that extra mile to take your Wedding, High School Dance, Bar/Bat Mitzvah or Corporate function to the next level by providing exceptional service from start to finish. We provide an array of services including state of the art lighting and sound, high-tech DJ software, video mixing, an online planning and request system, and much more. Our music library is vast and up to date and can efficiently satisfy any crowd of any age. We rise above competing San Diego DJ companies because we are not only skilled in choosing the proper music for your event, but being able to read your crowd to create an inviting atmosphere on the dance floor that your guests will be talking about for years to come. We understand how big of an impact that entertainment has on your event and we always go out of our way to ensure that we pay attention to every detail. We’re glad that you stopped by and we invite you to take a look around our site to discover in detail all of the many things that J. Soul Productions and our San Diego DJ talent have to offer. Please feel free to contact us today and we hope to have the chance to start working with you soon to create, plan and execute a memorable occasion.